Limited parking is available behind restaurant, abundant street parking available. Brown Line Rockwell Stop – Walk one and a half blocks north on Rockwell, turn left on Lawrence, walk 2 blocks. At this time the restaurant is not available for special buyouts. 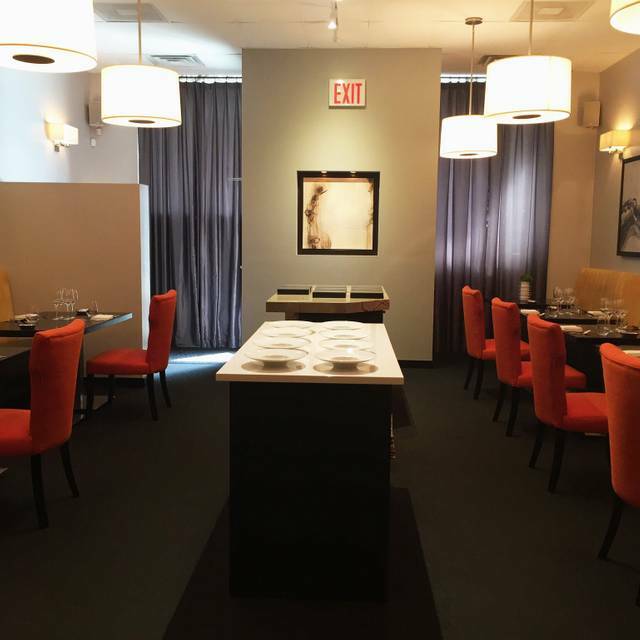 Chris and Nina Nugent are chef/owners of this 30-seat Fine Dining BYOB* restaurant located in Lincoln Square. goosefoot® features a subtle palette of grays with touches of gold and black. 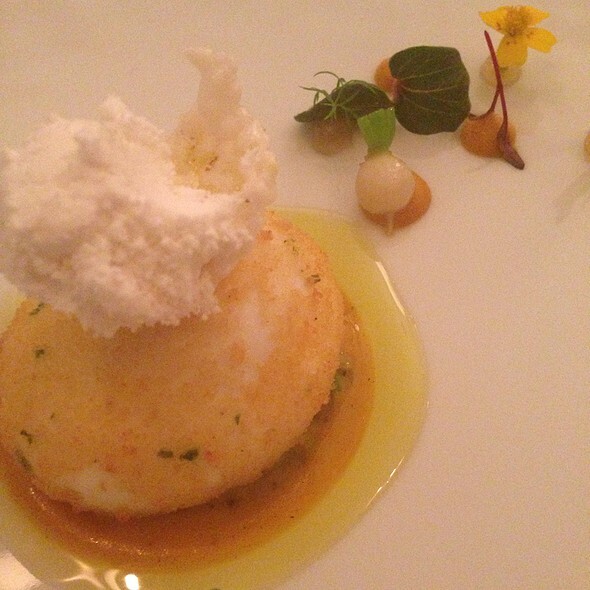 The cuisine is an artful blend of French technique with modern vision created from small artisan farm products. Chef Nugent’s talent for precision, refinement and visual artistry in the form of an elaborate multi-course tasting menu. The menu price is $145 no corkage fee, tax and tip not included. Please allow 3 hours for your dining experience. *goosefoot® food & wine just next door offers a wonderful selection of wine at an excellent price point for your dining experience. Nina conveniently emails you the wine list; simply reply and she will have it chilled and ready for you at the restaurant. No need to run around town! Our wine selection is chosen to pair well with the current menu and the wines are priced appropriately! Outstanding experience! Food was amazing, service attentive and environment conducive to conversation. Nina made our family feel special and we thoroughly enjoyed the evening! I was seated right away when I arrived despite being early. The wine we had ordered from next door was ready for us, and the service was delightful. Nina and her staff were attentive but not overbearing; there description of the food was entertaining. Highly recommended! Amazing taste and combinations. Excellent service and food art. Very cozy, small restaurant. It was like eating at someone's home. The food was delicious and great service. We enjoyed the music very much. Lovely experience, thank you! The had a great experience, the food was amazing and the service outstanding. The Woodstock theme was a nice touch, we loved the music playlist. Thank you Nina, Chris & Natalia for a wonderful night. We will be back! My wife and I visited Goosefoot for the second time, this time for my wife’s birthday, and we were pleased with every aspect. We were greeted at the door by Nina (one of the owners and wife of the Chris, the chef), seated and began a journey of 8 courses while sipping on a fine red that we had brought ourselves (it’s BYO). All courses are simply to die for... We began with the tastiest scallop/lobster/coconut milk dish that is easily the best we’ve ever had, and proceeded to then be blown away by each and every dish that followed. The crab/potato soup with sunflower froth was hearty and amazing, followed by Nina’s special pasta, complete with black truffle and pecorino in an amazing broth. (We were now feeling like we were close to capacity, which tells you how generous the dishes are...). We then closed out with the 4 more modest dishes that followed before concluding with our coffee. If you have the chance to experience this meal, while enjoying the service/attention of Nina and her small staff, don’t pass it up. We look forward to our return visit soon, as they will launch their new menu in April/May. Absolutely not worth the cost. Goosefoot is aging well. Their menu continues to bring outstanding presentations balanced with harmonious flavors and sumptuousness. Service if welcoming and friendly. Still one of the best values for tasting menus in Chicago - and the BYOB adds to that. A true gem for Chicago dining. Chris and Nina take you to fantasyland! Wonderful experience! Joana from Uber have us the hint!! Luck we are!!! Food and atmosphere were delightful. I would only ask that the servers speak clearly and slowly when describing the marvelous presentations. We had such a wonderful time, the food was delicious, great service and we love the Woodstock music theme. We purchased the wines from their wine store. The wines were great, we chose three 1/2 bottles and they paired perfectly with the menu. Highly recommend it, we will be back! AMAZING MEAL! Highly recommended for all!! Goosefoot was an experience I will forever remember. They made our anniversary so special. Nina is so charming and made you feel like a long time friend. And the food - unreal. I can’t say enough about our time at goosefoot! 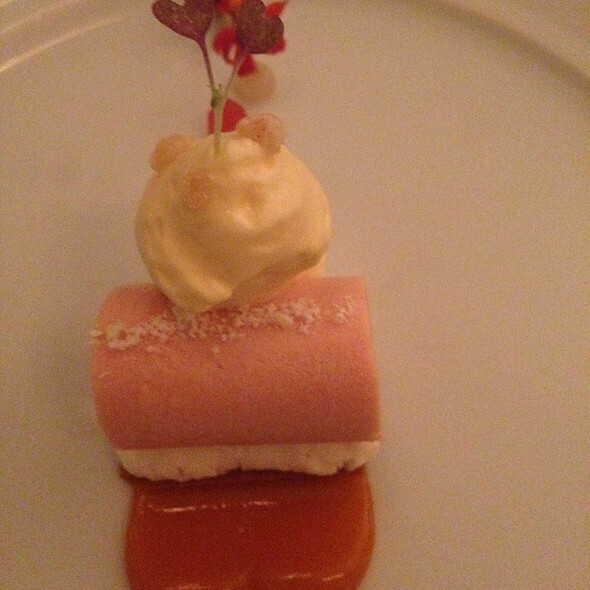 We went to goosefoot on March 1 and could not have been more delighted or surprised! The restaurant is very small and co-owner Nina personally greeted and waited on us - she even remembered my name when she came over to our table! Small details like this are so impressive. The important part: the food. The food was EXCEPTIONAL! It was a perfect mix of innovative, comforting and filling. We loved the mushroom soup, which reminded us of an improved upon and different version of a French onion soup. It had a hearty and complex broth topped with a delicate foam. Another highlight was what felt like an upscale take on mac n' cheese, made with soft tortellini, in a warm and luscious cheese sauce/soup. It was topped with Parmesan and thinly shaved truffle. This was the best part as the truffle and Parmesan melted together onto the pasta. All of it was balanced so well, and even among some of the top restaurants in Chicago, goosefoot stands out. It's the type of place that Chicagoans are lucky to be able to make a reservation and go to - in New York this place would be impossible to visit without a reservation 3 months in advance. 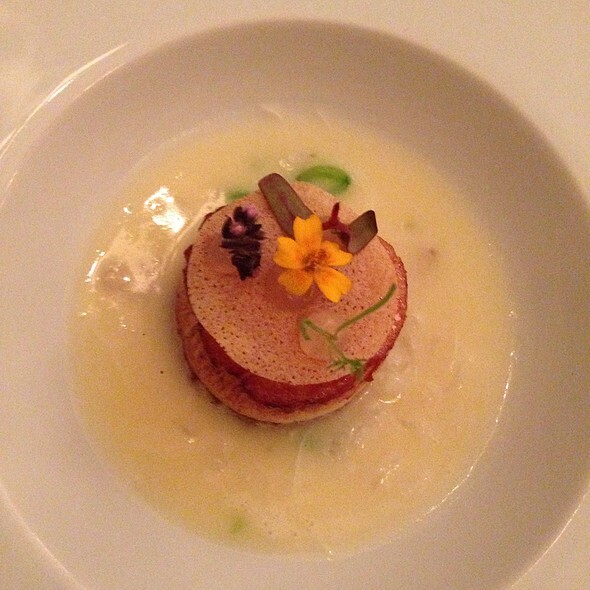 One thing to remember - you are at goosefoot for an experience and not just food. Dinner will probably take you a couple of hours - sit back and enjoy it. Thank you, Nina and Chris for an amazing meal! 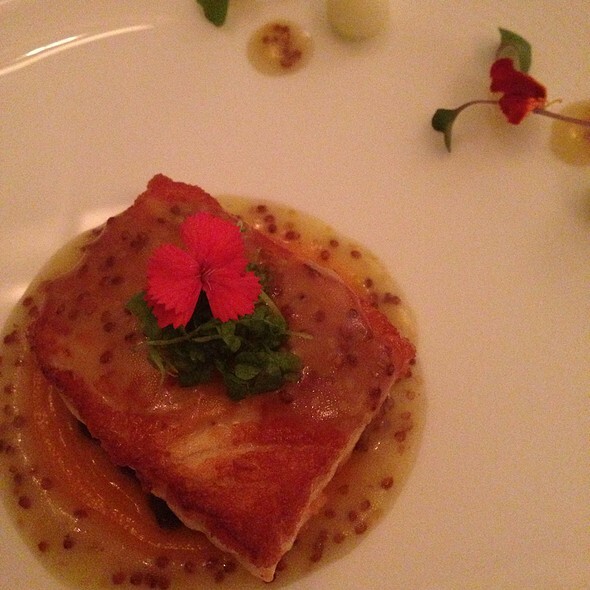 Goosefoot was a great experience for my girlfriend and I. The service was excellent, the food was good and the ambiance was first rate. We decided we will dine there every Valentines Day. The food was amazing, the service stellar and the atmosphere was welcoming and relaxing. For another 100 dollars I would recommend them to Alinea. I was impressed with the first dish but once I got to the deserts I couldn't believe they would serve these dishes at a place like this. Simply wonderful. The food and service was a perfect and delicate pairing of excellence. Excellent! 8 course menu, although the 8th course is really a chocolate bar that we took home. The initial 4 courses were superb. 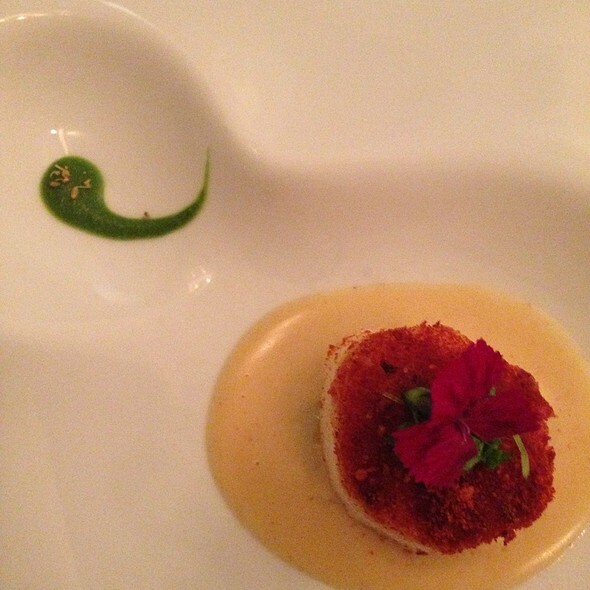 Perfectly cooked scallop in a lobster sauce. Then a mushroom soup, which was out of this world - the best soup I've ever had, and a hearty size. 3rd was Nina's pasta, which is (I'm sure I'm getting this wrong), but a kind of tortellini with truffle, parmesan and pecorino cheese, in a broth, and lots of it - just excellent, fantastic flavor! Lots of food up to this point and I was thinking I'm getting full and we are only half done. But, the remainder were lighter and a bit more desert kind of courses. They were very good, and somewhat welcome as I could not have eaten 4 more course with the same amount of food. I'm not a dessert person, so harder for me to comment on these, but enjoyed them all. Also, Nina the host/part owner was an excellent host. It is pricy, but a very, very good meal. My wife and I enjoyed it immensely. 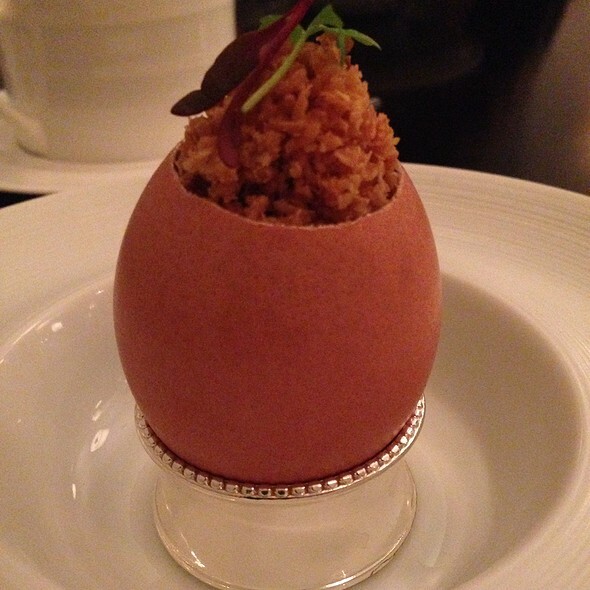 We were delighted to introduce 3 friends to the dining experience at Goosefoot. No question that this is the best restaurant in Chicago if you need to impress. It’s superb and humble, which is why this where I would take any VIP. We’re blessed to have it here. Keep going back to this gem because of the superb food. One of the best restaurants in Chicago. The chef is a genius along with his wife who delivers 100% every time. An amazing place that makes you feel at home yet with a meal you won't find anywhere else. Nina is wonderful, she treats you like a good friend and special guest. The food was outstanding and creatively presented. Fabulous New Year’s and anniversary celebration!. What an amazing experience! Excellent service and dinner at goosefoot. They really personalized our experience. Menu is delicious and perfect for the season. Really enjoyed the pasta and the angus beef as well as the coffee dessert. Will definitely return! We had a really lovely dinner that was Woodstock themed. Nina and Chris the owners, were creative in the presentation and cuisine itself. We will be going back for sure! It was a wonderful experience. We enjoyed how intimate it was! Wow! Seven delicious, artful, fun courses, great creative ambiance and music, and BYOB (using their reasonably priced wines from their own shop); What more could we ask for to celebrate a special birthday? Top it all off with the artistic chocolate pops and pea seeds as parting gifts and we had an unforgettable dining experience! We were trying to book this restaurant several times for our birthdays but we always failed - It tells you how hot the restaurant is. Finally this time we were able to make a reservation for a normal Thursday evening as a date-night. Service was outstanding as all the reviews online mentioned how the owner Nina made you feel welcome and comfortable - Although we didn't see her husband that day. It is amazing that Nina herself and the other girl did the service for all the guests and in a very steady pace, while they still had time to chat with each of the tables in a personal way amicably. We have never been in a restaurant with so few people attending let alone a Michelin. Talking about the food, both my husband and I thought the first course was the best scallop we had in our lives. So tender and juicy. 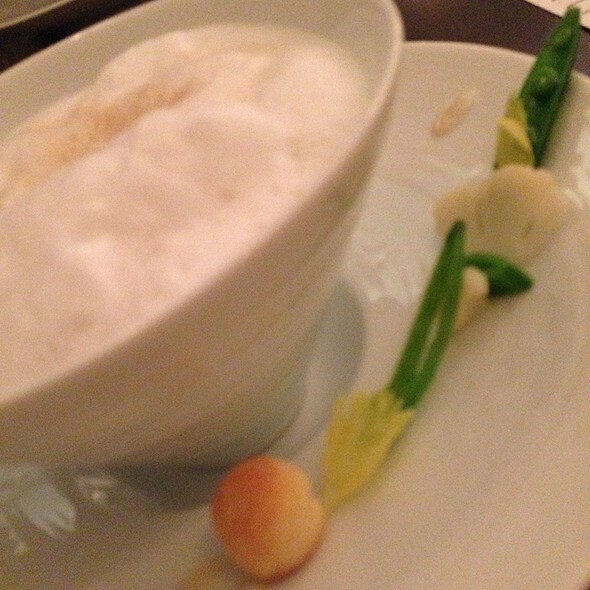 I love the mushroom and chestnut soup as well, but since my husband overall is not a mushroom person, this 2nd course was mainly my favorite. Beef was great but I guess if someone wants well-done then it is not for them. I was actually getting full when beef was served, which is very unusual with a Michelin restaurant, but also indicates this restaurant is generous in quantity compared with some other Michelin restaurants (not to say the others are bad though:) Then the drink served in a fancy container was a delightful surprise - flavor was very unique and I liked it. The other two desserts are unique too (including their self-made chocolate) but not making me feel "wow". The decoration and atmosphere of this restaurant, together with their own style of service, makes the experience unforgettable and differentiated. We sincerely recommend this restaurant to foodies who want to explore different Michelin restaurants and diverse ingredients. It is one-of-a-kind. First, I just absolutely love that it is byob. The artwork centered in the middle of the dining area was amazing, I couldn’t help but gaze over all night. The inspiration for this sitting was 1969, Woodstock. The food was just outstanding- Every. Single. Dish. 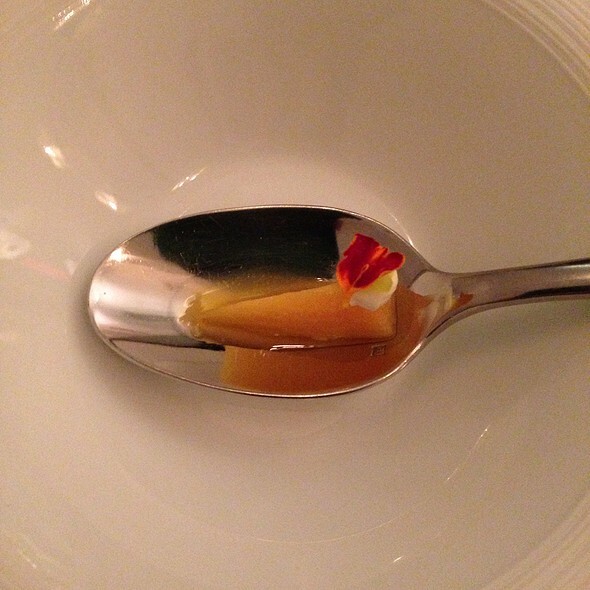 I’m not one to go into the details of each dish since it was an eight course experience, but it was very well thought-out, paced meticulously and just when I thought I couldn’t eat another bite, a wonderful yuzu apricot naartjie “juice” arrived to cleanse my pallet and bam! I was ready to take on the two dessert courses. A word of advice- arrive hungry. This is not a pre fixe meal where you feel like you want to grab a hamburger afterwards. Superb food creative presentations, delightful staff. Delightful, personal service, truly stand out, excellent food. I appreciate the combination of presentation, texture, taste and aroma in a meal. And when I have a meal outside my home, I also seek for a welcoming ambience and service. I had it all at Goosefoot. Courses beautifully presented and each of them with an unique and wonderful flavor, accompany by great songs in a volume that I could also enjoy a conversation. The service was friendly and helpful, suggesting two wonderful wines from Goosefoot Food & Wine store, un Vouvray 2017 and un Garbèl Prosecco 2018. When we got there the wines were ready for us and they cost a reasonable price. Reserve a few hours to have dinner at Goosefoot, so you will have the time to appreciate a sensorial experience full of beauty, flavors and aromas that I assure you it will be unforgettable.